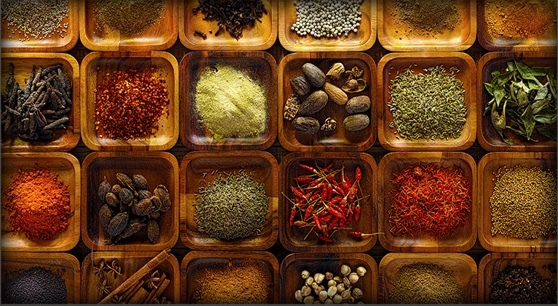 Christian Laffitte returns to the sound design kitchen with his second Sound Bank Series installment in the form of Masala. Not a mere ensemble of sounds, Masala stages an entire collection of new instruments that you’ll love to learn and discover. These instruments are light and responsive to the touch, full of magic with bounces, buzzes, and sizzles. Their timbres are from nowhere and everywhere—an adventurous mélange of tastes and flavors. These 101 wonderful musical contrivances await to unlock new paths of creativity. Christian Laffitte is the man behind many of our sound packs—see the list below. Read our interview with Christian Laffitte. Masala was created with the String Studio VS-3 string oscillator synthesizer. 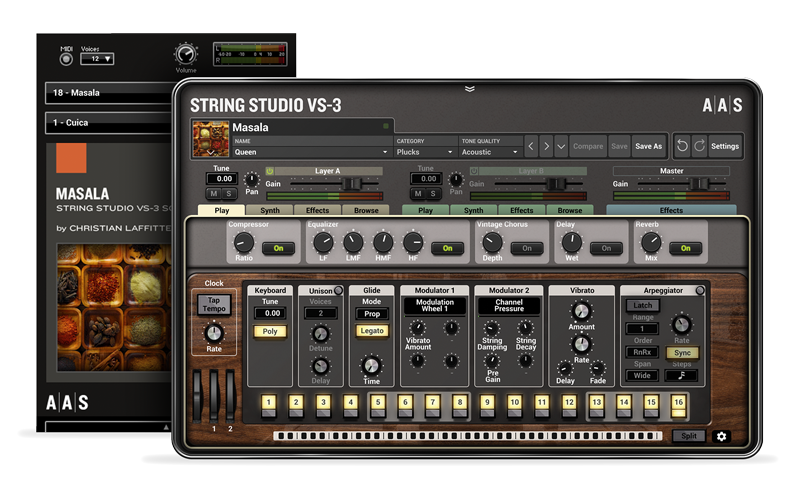 You can obviously play and edit the sounds in String Studio VS-3, but you can also access and play them via the free AAS Player included with your Masala purchase.